"The reason I keep insisting that there was a relationship between Iraq and Saddam and al Qaeda [is] because there was a relationship between Iraq and al Qaeda." "We will implement the rule of God on earth by the tip of the sword." In the Valley of Elah, director and screen writer Paul Haggis has created a moving account of an ostensibly model soldier who recently returned to the U.S. from the front lines of Iraq and has gone apparently AWOL. 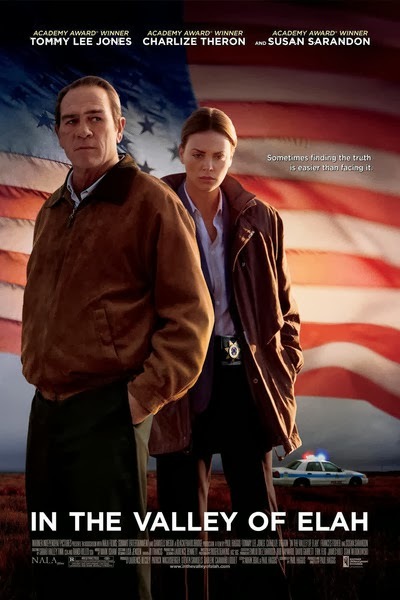 Based on a true story, his veteran father enlists the aid of a dedicated police detective in seeking out his son's true fate who has vanished without a trace. While it remains to be seen whether Hank will ever find his missing son, he gets quickly enmeshed in a tangled web of intrigue, cover-ups, and murder, all related to the Iraqi conflict. In the Valley of Elah is a powerful, emotional indictment of the damage that a contemporary war can do to young men. It is a potent moral tale and deserves to be seen along the PBS documentary The Wounded Platoon. 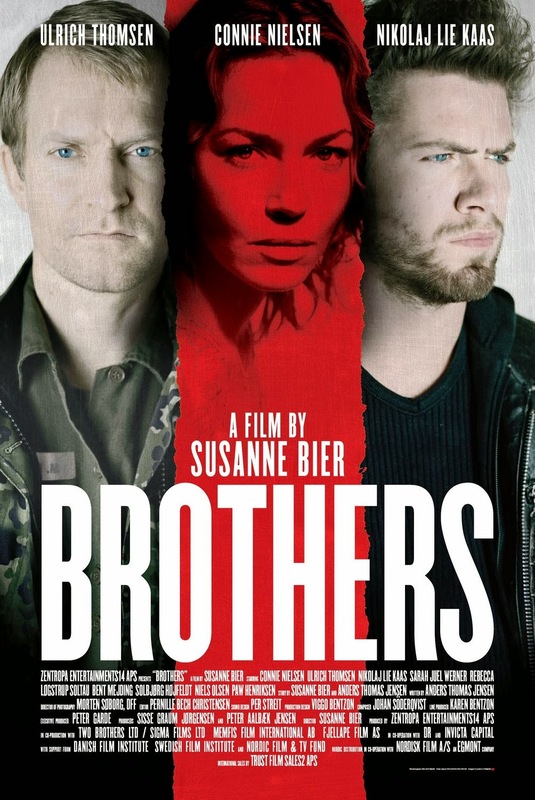 Both films could be seen along the 2004 Danish film Brothers in which two brothers unwittingly exchange roles under the fog of war in this gripping psychological drama superbly directed by Susanne Bier. Michael is a caring husband and father who risen to the rank of major in the Danish Army, while Jannick is an alcoholic with a violent streak who has been in and out of prison much of his life. When Jannick is released after serving time for armed robbery and Michael is sent to Afghanistan. When his wife Sarah receives word that Michael's helicopter has been shot down and the crew has gone missing, Jannick tries to assume some degree of familial responsibility, helping Sarah with the children and helping to keep the house in repair. As Jannick finally grows into a responsible adult, he and Sarah learn that Michael has been released from an Afghan military prison and is being sent home. Severely damaged as a result of his time in captivity, he's become an angry and emotionally broken man, haunted by ugly memories and a threat to his wife and daughters. The film vividly dramatizes that civilians as well as warriors pay a terrible price for what takes place on the battlefields. In the 2011 Best Foreign Language Oscar winner, Bier directed In a Better World, an absorbing drama about mourning and loss. Anton is a doctor who commutes between his home in an idyllic town in Denmark, and his work at an African refugee camp. In these two very different worlds, he and his family are faced with conflicts that lead them to difficult choices between revenge and forgiveness. Anton and his wife Marianne, who have two young sons, are separated and struggling with the possibility of divorce. Their older, ten-year-old son Elias is being bullied at school, until he is defended by Christian, a new boy who has just moved from London with his father, Claus. Christian‟s mother recently lost her battle with cancer, and Christian is greatly troubled by her death. Elias and Christian quickly form a strong bond, but when Christian involves Elias in a dangerous act of revenge with potentially tragic consequences, their friendship is tested and lives are put in danger. Ultimately, it is their parents who are left to help them come to terms with the complexity of human emotions, pain and empathy. The film raises important moral dilemmas about aggression, non-violence and responsibility. Triggering our age of high-stakes secrecy, explosive news leaks and the trafficking of classified information, Wiki Leaks forever changed the game. In a thriller based on real events, The Fifth Estate reveals the quest to expose the deceptions and corruptions of power that turned an Internet upstart into the 21st century's most fiercely debated organization. 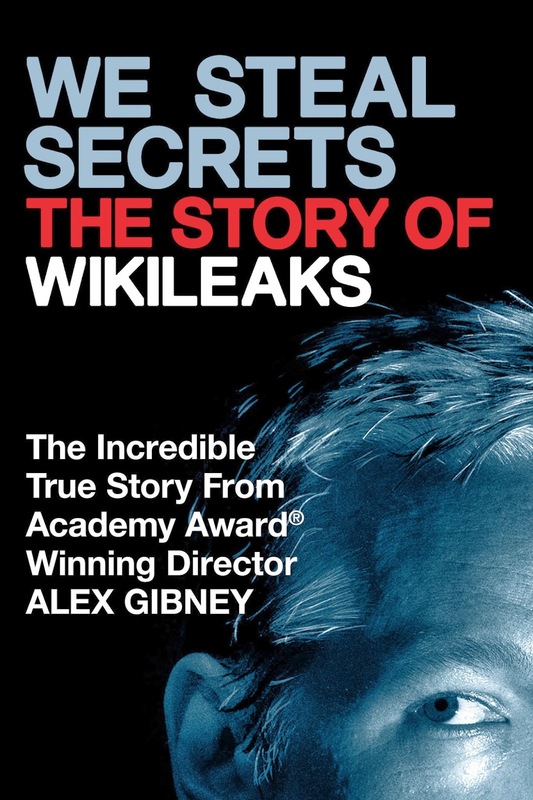 The story begins as Wiki Leaks founder Julian Assange and his colleague Daniel Domscheit-Berg team up to become underground watchdogs of the privileged and powerful. On a shoestring, they create a platform that allows whistle blowers to anonymously leak covert data, shining a light on the dark recesses of government secrets and corporate crimes. Soon, they are breaking more hard news than the world's most legendary media organizations combined. But when Assange and Berg gain access to the biggest trove of confidential intelligence documents in U.S. history, they battle each other and a defining question of our time: what are the costs of keeping secrets in a free society-and what are the costs of exposing them?" But he's sinister, not ambiguous—a loathsome hypocrite. A much better and more nuanced film is the documentary We Steal Secrets. The Dixie Chicks were a tremendously successful country music group until in March 2003 with the United States expected to invade Iraq in a matter of days, the group's Texas-born singer Natalie Maines said during a concert in England, "Just so you know, we're ashamed that the president of the United States is from Texas." While the spontaneous quip earned cheers during the show, the Dixie Chicks soon found themselves at the center of a firestorm of controversy at home—radio stations pulled their music from playlists, conservative political commentators organized boycotts and protests against the groups, and during shows the Chicks became the targets of death threats. Award-winning documentary filmmaker Barbara Kopple and Cecilia Peck teamed up to follow the Dixie Chicks as they recorded their 2006 album Taking the Long Way, fought back against the accusations lobbed against them, and struggled to hold on to their personal lives in the midst of intense media scrutiny. When national sentiments turned against the Iraq war and the Bush team was vilified, they felt some degree of vindication. Well worth seeing.